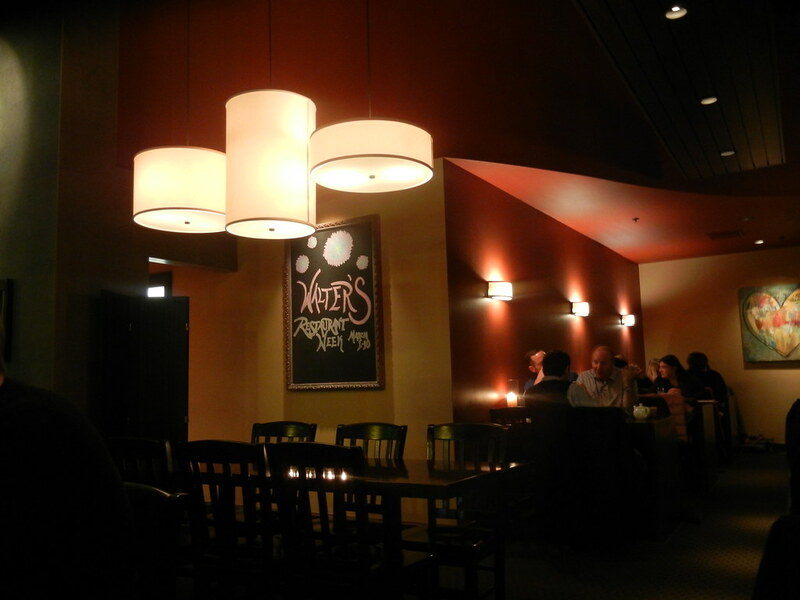 Walter's in Portland moved from a small, cozy storefront on Exchange Street to a more expansive space on Union Street in 2009, where its location at 2 Portland Square makes it feel more like a hotel restaurant. The bar area is nice, with big, modern armchairs, but the rest of the dining room feels a bit sterile. Having never been to Walter's for more than drinks and appetizers, I took advantage of their Restaurant Week menu to see if I'd been missing out by failing to frequent this Portland mainstay. Unfortunately, while the meal did have some highlights, I found the experience to be underwhelming, and Walter's did not make my list of go-to dining spots. 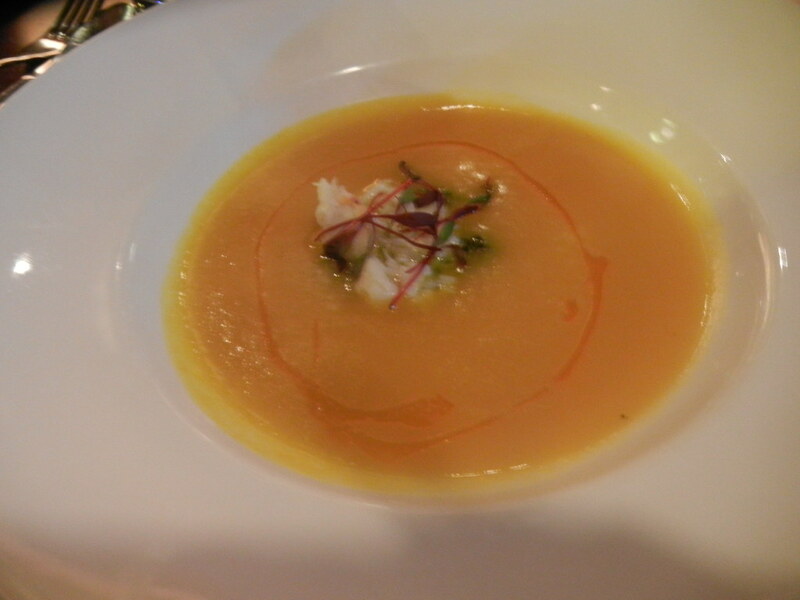 I started with the Buttercup bisque topped with peeky toe crab and shishito pepper pesto. After having a stand out squash bisque at Bresca for lunch that day, this version fell flat and made me miss the salt dish that the server removed with the bread service. 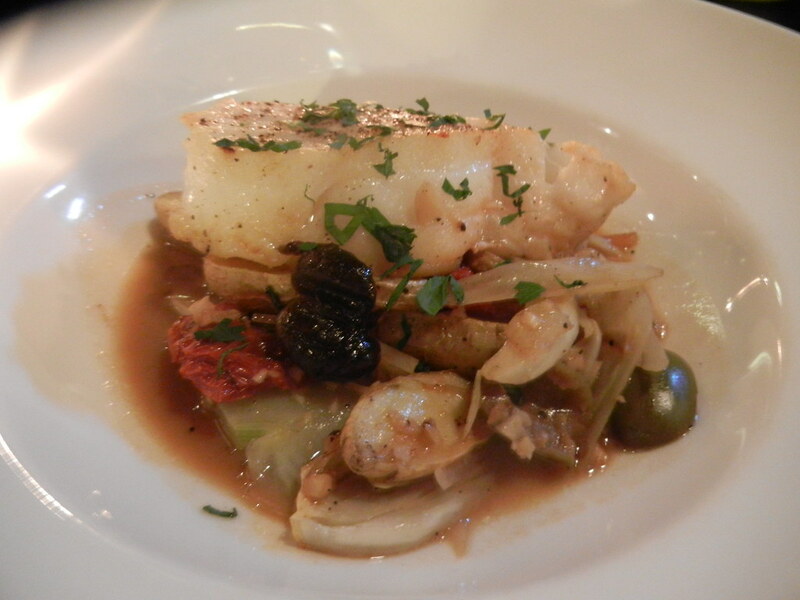 A. ordered the fish entree, served over dried tomatoes, fennel, yukon fingerlings, olives, and lobster butter broth. This entree landed in front of me first, and I sampled a few bites before swapping for my steak frites. Again, the dish was under salted and made me wish for the Proscuitto-wrapped Hake that Adam of the Appetite Portland couple makes. Even the briny olives couldn't give this dish enough flavor. 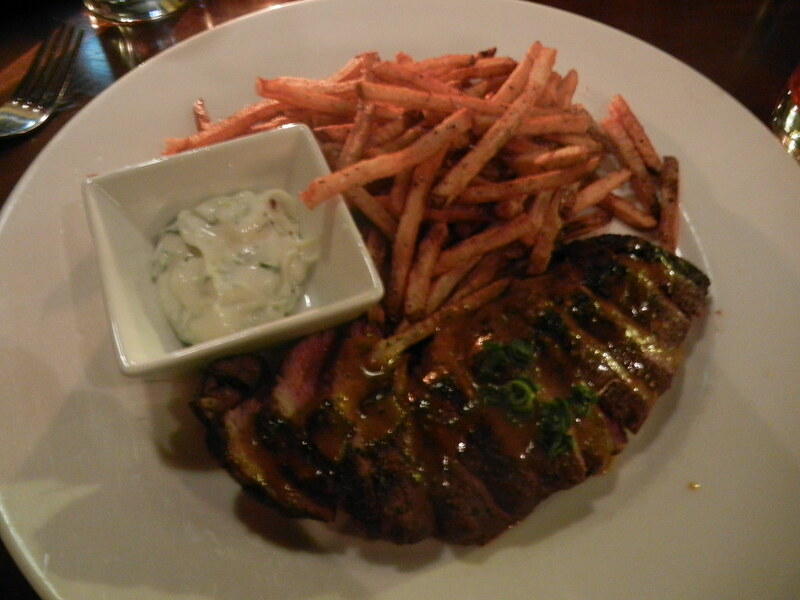 My steak frites swung the other way on the salt spectrum, although at that point I was happy for a strong flavor. The scallion mayo was surprising and a welcome addition. Desserts were good - although both suffered from temperature issues. 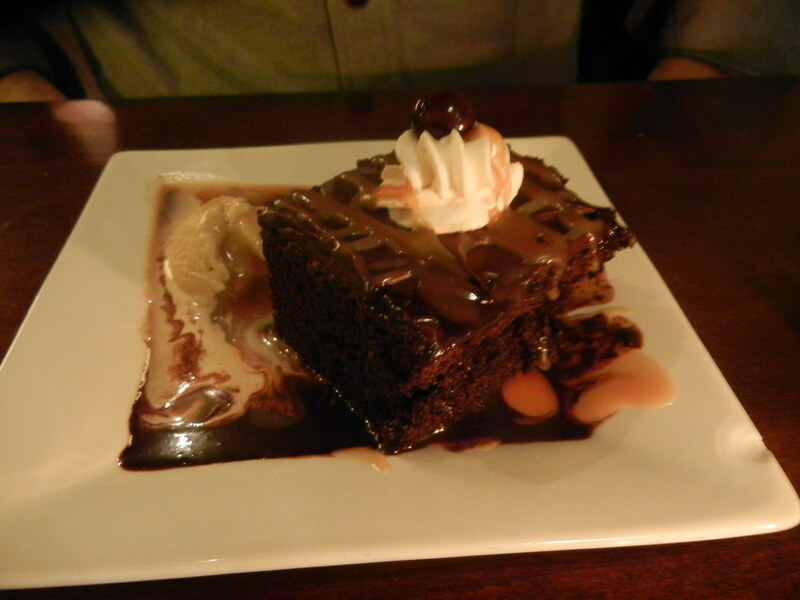 This chocolate olive oil cake with caramel was very moist and was better the next day when it was allowed to warm up before we enjoyed the leftovers. 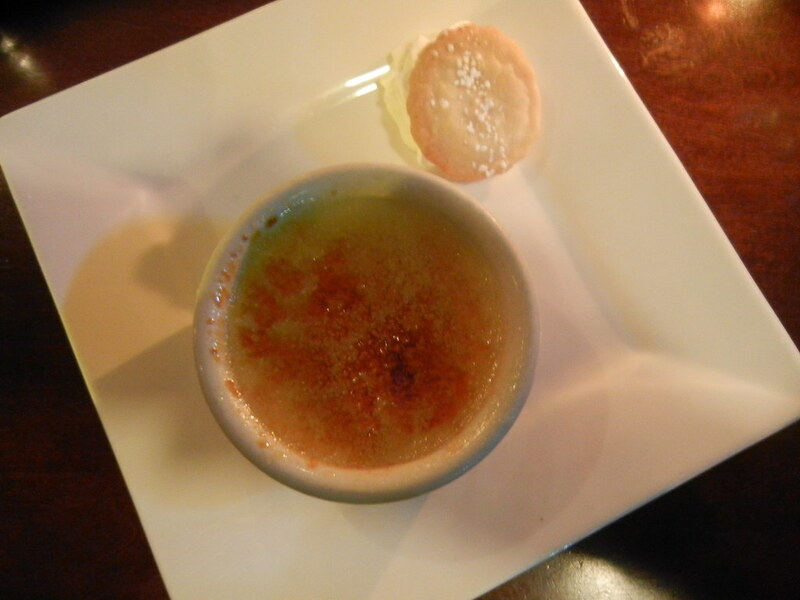 My orange lavender creme brulee was cold throughout, which I enjoy, when it's in contrast with the layer of warmed sugar on top. But this dish was too cold, and the lavender flavor wasn't present. While we enjoyed our three courses for $32 per person, if we had ordered these items off the regular menu, it would have been closer to $50 per person. And so while it was a fine meal, nothing made me want to return or recommend it for dinner. Allgash Tap Takeover at Eventide Oyster Co.